New Delhi: The BJP on Tuesday vehemently denied the sensational claim by an Indian cyber expert that electronic voting machines (EVMs) can be hacked, saying that the former failed to provide any proof for his allegations. Addressing a press conference, Union Law Minister Ravi Shankar Prasad said that the press conference by Syed Suja in London, where he alleged EVM rigging in the 2014 Lok Sabha polls, was a “Congress-sponsored event designed to defame the popular mandate of India”. Terming the charges and the presser by the cyber expert as “Congress-scripted EVM hackathon”, Prasad said that the allegations of EVM hacking in 2014 Lok Sabha elections were completely baseless as it was the UPA who was in the power at that time and not the BJP. “In 2014, UPA was in power, not us. Where is the logic in accusing us of hacking EVM when we were not in power?” Prasad questioned. Prasad also wondered why Congress did not question the validity of EVMs when it won in Chhattisgarh, Madhya Pradesh and Rajasthan. “Seeing that they will lose this year, is Congress cooking these tales now? How many more alibis is Rahul Gandhi going to offer?” said Prasad. The statement from the BJP comes a day after Syed Suja, the Indian cyber expert who is seeking political asylum in the US, claimed on Monday that the 2014 general election was “rigged” through EVMs, which, he said, can be hacked. Rejecting the claims, Election Commission said that it firmly stands by “empirical facts about foolproof nature”. The election watchdog also said that it was mulling legal action in response to the claims identified as Syed Suja at a press conference in London. 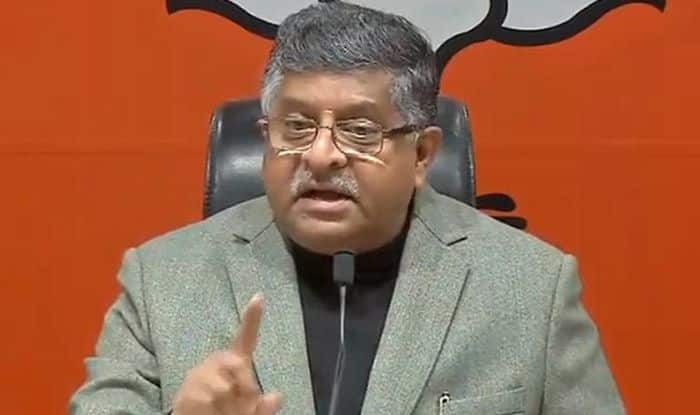 The BJP rejected the sensational claims by the cyber expert and described the allegation as a “hacking horror show organised” by the Congress and said that the opposition party has begun looking for an excuse for its likely defeat in the next Lok Sabha polls.